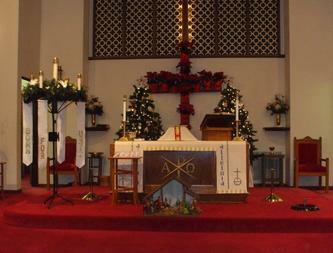 Altar at a recent Christmas service. 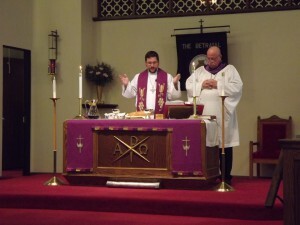 Pastor Ben delivers a Children’s Sermon. 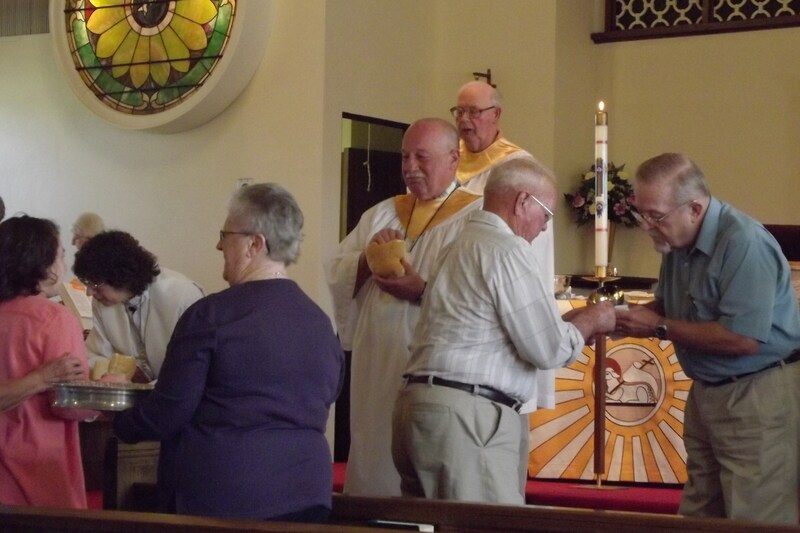 Pastor Ben consecrates the communion bread and wine. 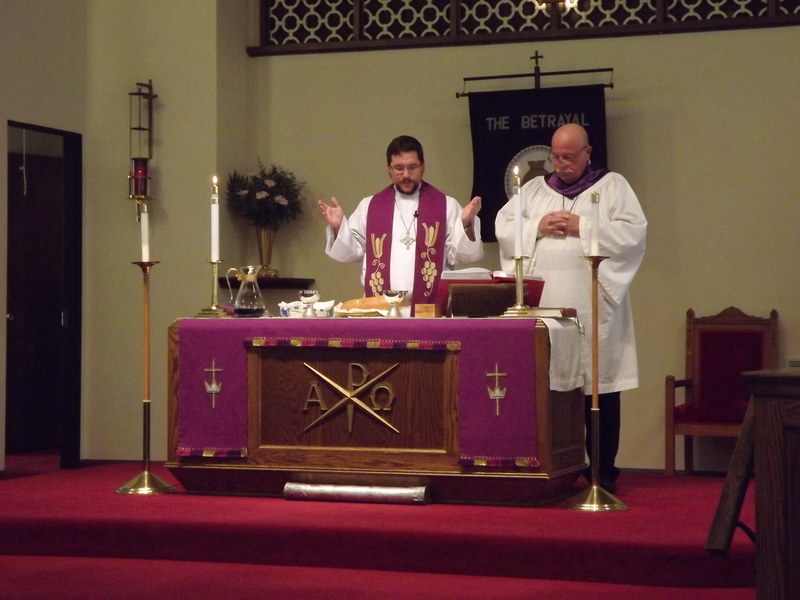 As Lutherans, we believe that Christ is truly present in the meal of bread and wine, where we are granted the gift of forgiveness and the promise of eternal life. All who share this belief and are baptized are welcome to the table.